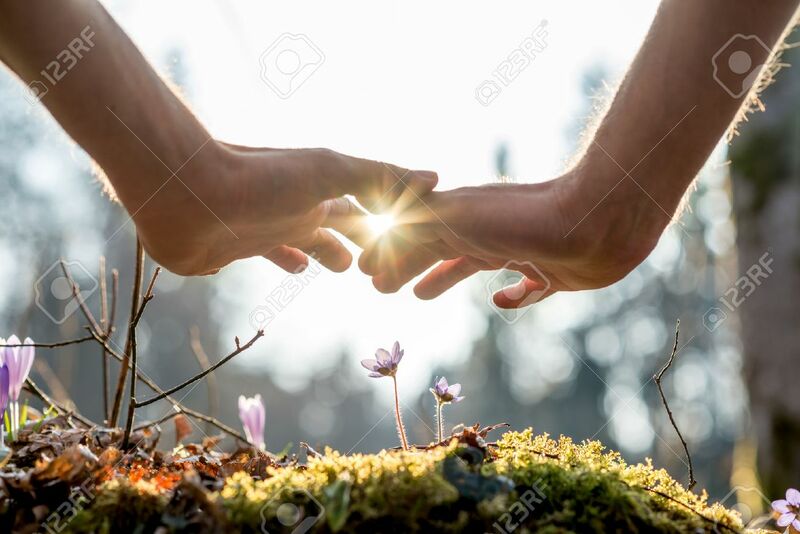 Close Up Bare Hand Of A Man Covering Small Flowers At The Garden With Sunlight Between Fingers. Zdjęcia Royalty Free, Obrazki, Obrazy Oraz Fotografia Seryjna. Image 39241161. Zdjęcie Seryjne - Close up Bare Hand of a Man Covering Small Flowers at the Garden with Sunlight Between Fingers.